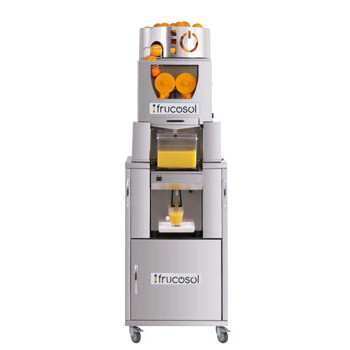 The Frucosol Juicer Freezer easily produces lots of top-quality citrus juice in a stunningly designed, technically-advanced machine. 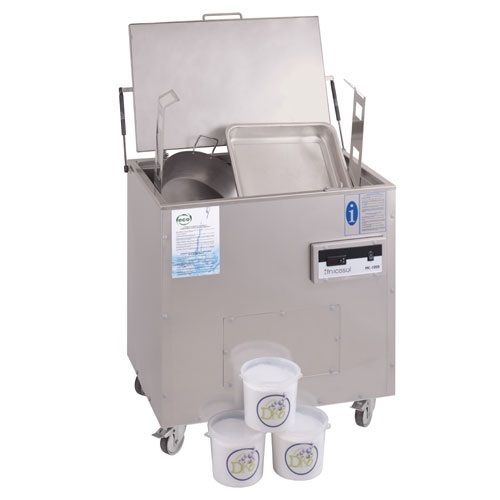 Fresh juice is stored for use in a 7 liter cooled tank and dispensed by faucet. 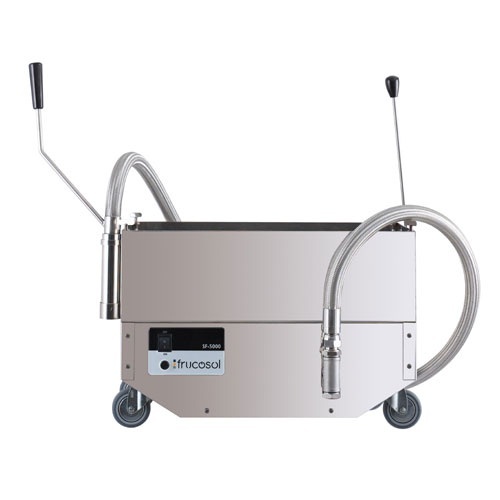 • Quality Construction – An attractive stainless steel construction and lots of technical features packed into a solid, beautiful machine. A simple design and only a few moving parts means less problems. • Refrigerated Storage – The Freezer model has a cooler with a 7 liter tank that includes a waver and no-drip faucet. Customers can activate machine and get freshly-squeezed juice simply by placing a cup or pitcher beneath the faucet. 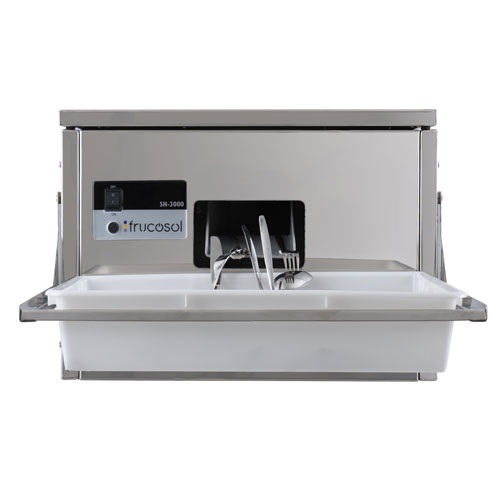 • Stainless Steel Cabinet – The stainless steel cabinet has a glasses rack with adjustable positions for holding either glasses or bottles of various dimensions.